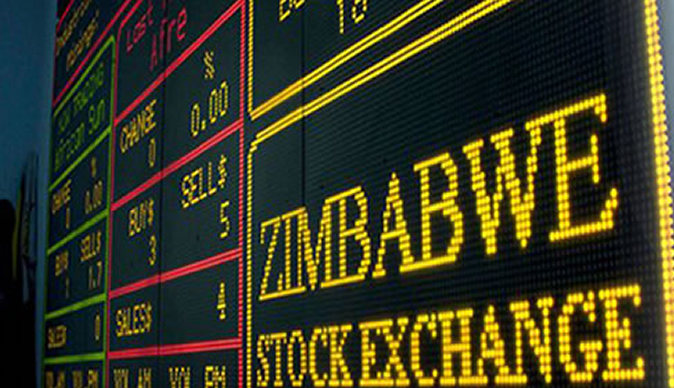 THE Zimbabwe Stock Exchange (ZSE) market capitalisation hit $16,7 billion on Tuesday, about 67% of the gross domestic product, as investors took shelter in equities to escape Zimbabwe's currency crisis. Reserve Bank of Zimbabwe governor John Mangudya on October 1 ring-fenced bank accounts by introducing nostro foreign currency accounts (FCAs) dedicated to foreign currency transactions, which will run separately from real time gross settlement (RTGS) FCAs dedicated to local transactions. This has left RTGS balance holders frantically searching for value preservation to reduce their exposure to inflation and devaluation. In seven days of trading to Tuesday this week, the bull-run added $3,51 billion to the ZSE market capitalisation, eclipsing the previous high of $15 002 818 372 reached on November 15, 2017. "What we are seeing there is that there is demand that is phenomenally outstripping supply so everyone seems to be under pressure to utilise RTGS balances as we have been inundated by a lot of demand from our clients. So, we are hardly getting anyone selling, and as a result prices are shooting up," MMC capital executive director Itai Chirume said yesterday. "What is really stopping them (stock prices) from growing further are the circuit breakers which are within 20% of the last trading price, so if a stock last traded a $1, it can only go up to $1,20. It is only thanks to the circuit breakers, otherwise it (stock prices) would shoot up above 20%. I think the idea is people are trying to spend RTGS balances because of perception that they are losing value relative to movement on the black market versus United States dollars." The combined value of daily market turnover in the first two days of this week was $20 736 911.95, about 67% above the $12,52 million registered over an entire week of trading in the week to October 5. The ZSE top 10 index, which measures the top 10 performing counters, was up 14,82% to 161,52 points, while the all-share index was up 13,23% to 151,99 points. The all-share index measures the change in the average value of share prices of all listed companies. The industrial index was up 13,18% to 512,09 points, while the mining index rose 1,4% to 170,85 points. Investors have been particularly interested in Delta and Econet shares that traded at $3,64 and $2,44, respectively, yesterday. "But, in finding liquidity a home, it will push prices and eventually when it disappears, if it disappears, I think with the monetary policy coming through, there is a lot of control that will probably inhibit the movement of cash per se on transfers," Stockbrokers Association of Zimbabwe vice-chairperson Arnold Dhlamini said. "The target is to reduce the money on the parallel market so when it (liquidity) finds a home, prices are going to chase with many buyers on few assets. Eventually, we have to reach a climax when everything normalises."